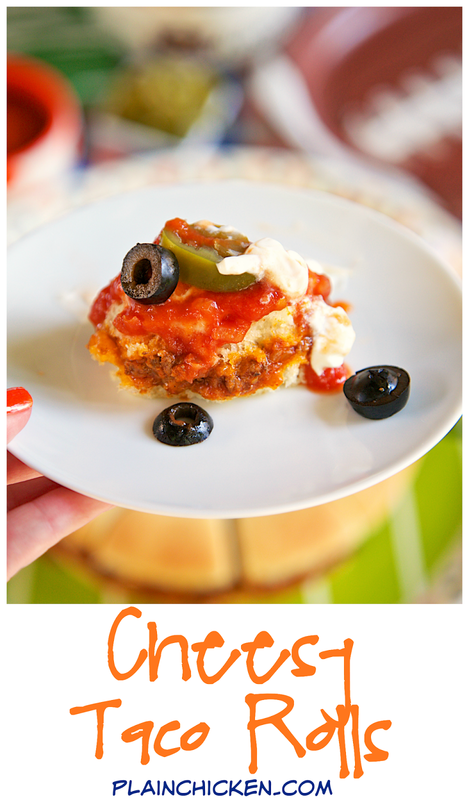 Cheesy Taco Rolls - Sister Schubert rolls stuffed with cheese and spicy taco meat! SO easy and SO good! Top with your favorite taco toppings. Can make ahead and freeze for later. Great for parties or a fun twist to taco night. 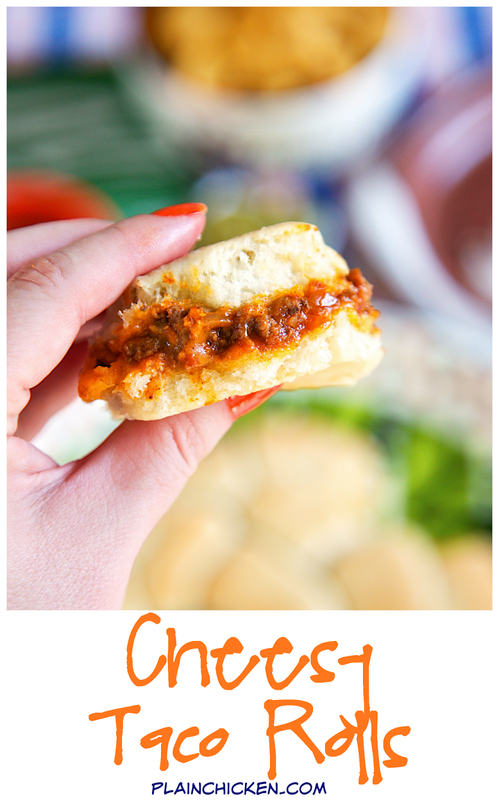 These Cheesy Taco Rolls are seriously delicious! They are made with my all-time favorite rolls - Sister Schubert rolls. 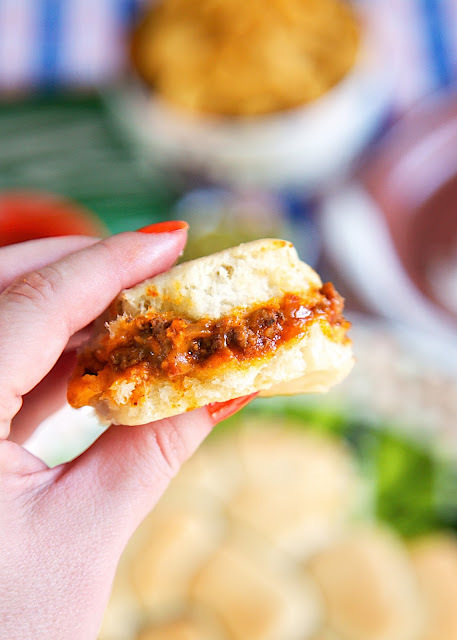 I split the rolls and stuffed them with cheesy, spicy taco meat. OMG! SO good! These yummy Cheesy Taco Rolls can be made ahead of time and refrigerated or frozen for later. They are perfect for parties! 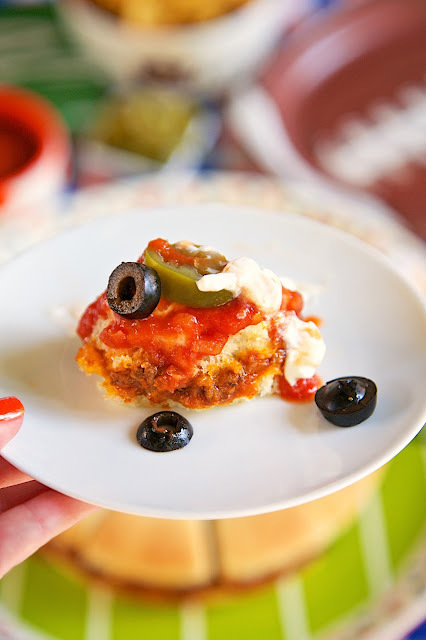 We like to top the rolls with some sour cream, salsa, jalapeños and olives. Any of your favorite taco toppings will work great. You can also eat them plain straight out of the pan. Either way they are super delicious! These Cheesy Taco Rolls are a fun twist to taco night. 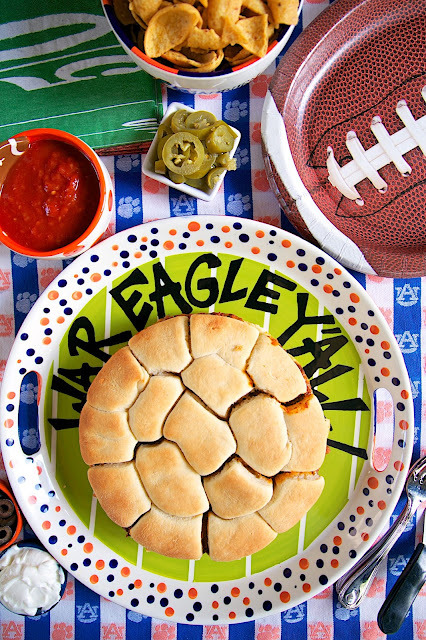 They are definitely going on our College Football Championship Game watching menu! In a skillet over medium-high heat, cook ground beef until no longer pink. Drain fat. Stir in taco seasoning, water and salsa. Heat for 5-10 minutes, until most of the liquid is absorbed. Remove from heat. Place cheddar cheese slices on top of bottom half of the cut rolls. Top with taco meat. Place the top half of the rolls on top of the taco meat, lining up the empty space. Replace the roll in the empty space. Cover pan with foil. Bake for 15 minutes. Remove foil and bake an additional 8 minutes.